Strong tubular steel frame with chrome wire supports. 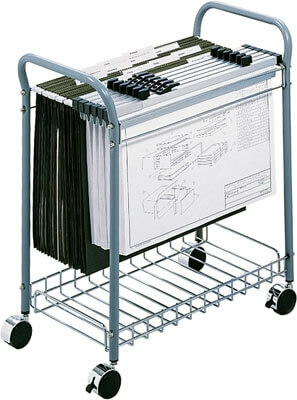 File folders and clamps must be ordered separately. Tucks neatly under most work surfaces when not in use. Bottom basket creates additional storage space. Includes four swivel casters (2 locking) for easy mobility. Light Gray powder coat finish.